Our motivated vendors have now brought elsewhere and are on the move! 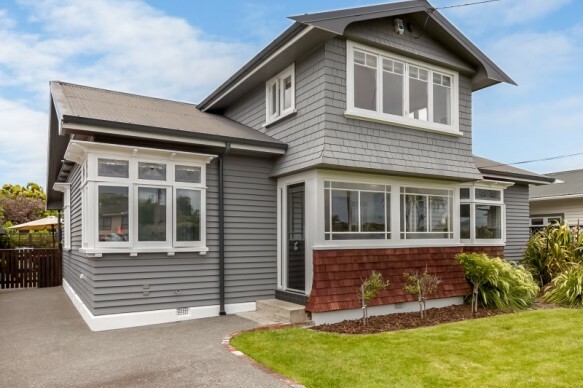 Immaculately presented throughout, this 1930's weatherboard home has been decorated in neutral, contemporary tones, accented by carefully retained character features including lead light windows, timber flooring and stunning ornate ceilings. These contribute to its timeless appeal of enviable blend of effortless contemporary comfort, whilst maintaining its gorgeous character features. Oozing with street appeal, this beautiful home boasts three generous bedrooms downstairs, a modern bathroom, an extra toilet and a separate laundry. The modern kitchen/dining is well-appointed overlooking the backyard perfect for summer entertaining and enabling you to watch the children play as you prepare family meals. A separate spacious living area allows you to pop your feet up after a busy day or you may choose to sit quietly and read a book on the light filled window seat. Upstairs you have an added bonus of another bedroom or study, great for a teenage retreat. Winter warmth is ensured for all the family with central heating. The kitchen/dining opens through french doors to a large sun drenched deck overlooking established gardens with plenty of fruit trees including a feijoa hedge out the front. Private, fully fenced and complete with a playhouse, there is plenty of room for children and pets to play safely and for you to grow your own vegetables. The icing on the cake is the zoning for popular schools including Hutt Central, Hutt Intermediate & Hutt Valley High and the close proximity to a host of local amenities and public transport. Here's the perfect combination of location and great living. Don't wait around, call us today!